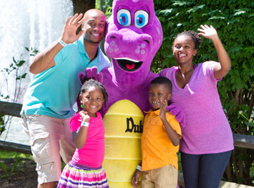 Idlewild & SoakZone theme park tickets are the best way to enjoy a day of rides, shows, adventures, splashes, and family-fun. There are great family discounts and deals available on select days throughout the season. 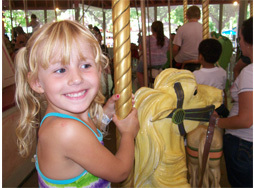 Visiting Idlewild & SoakZone with a group makes a visit that much more fun! Special group sales rates are available for groups of 15 or more. We highly recommend that any Ticket purchased online be PRINTED prior to visiting the park and presenting the ticket for scanning at the gate. Cell Service can be spotty in the Laurel Highlands and you may not be able to access your tickets on a mobile device at the park gates. Thank you. • Buy 4 and Save! Add on a Souvenir Refill Cup with 99 cent refills all season long! Children age 2 and under are always FREE! Please PRINT VOUCHERS and bring to Idlewild gate for scanning and entry. Do not rely on your Cell Phone Service as some service providers receive poor service in the Laurel Highlands. Please turn off pop-up blocker prior to printing ticket vouchers. * Applicable taxes and processing fees apply. 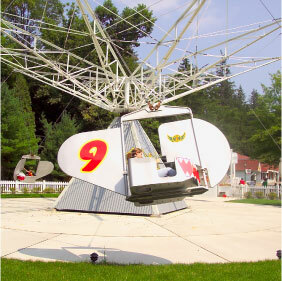 Pricing, attraction availability and hours are subject to change without notice.